I love these vegan pancakes! Mainly because I love pancakes but also because, even though they are vegan pancakes, I don’t think you can tell the difference from ‘real’ ones. And that is always the mark of a good freefrom recipe. 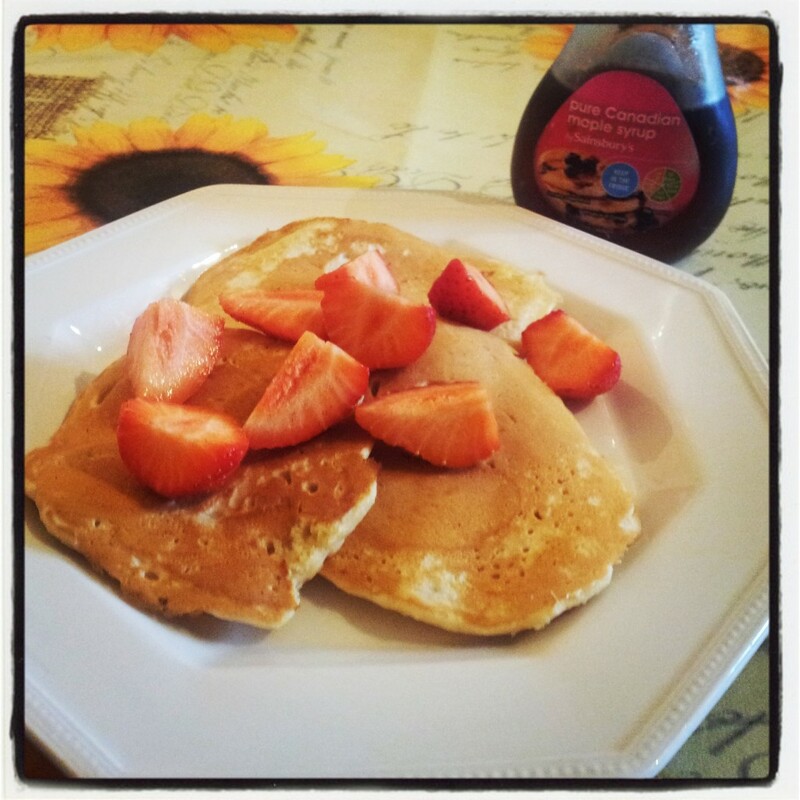 There’s something special and decadent about starting the day with pancakes, even though they are quick and easy to make, and can even be warmed up straight from the freezer. 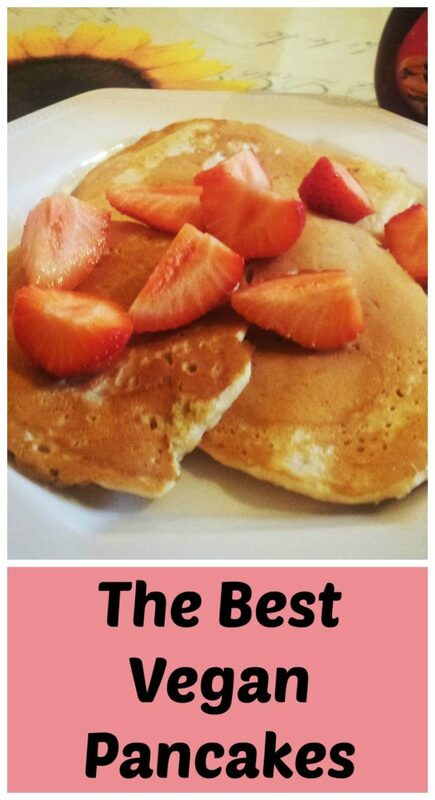 The recipe makes American style pancakes and as they pass the test for my Texan husband that is a big thumbs up! It is based on one from Food Allergy Mama’s Baking Book, a book which changed my life and I often refer to. They are light, fluffy and perfect for smothering in maple syrup and fruit or bacon. Or try one of the 15 fabulous free from pancakes fillings. What’s your favourite? Combine the dry ingredients. Make a well in the middle and pour in wet ingredients. Spoon a ladleful of mixture onto a hot well oiled frying pan. Gently spread into a round. If you are adding banana then place three or four slices on tops and cover with a light layer of mixture. When the pancakes have bubbled all over, flip and cook the other side. Tip: These freeze really well. Put in a plastic bag with a layer of greaseproof paper between each one. Take out the night before or put in oven on a low heat to defrost. Also check out our vegan, gluten free, chia seed pancakes as another option. They are also great for breakfast and a great way to sneak some more protein in too. How can you say these are dairy free when you are adding 300 ml if milk? Ah, good point, thanks for pointing that out! I meant soy milk but that is so normal for me that I didn’t even think to mention it. Oops! I have changed it now. Thank you for this recipe. Sooo light and fluffy! I thought mixture was too thick, but I tried and as per instructions. It’s important to spread the batter in pan. It’s my family favourite ? So glad to hear it’s a family favourite! Great recipe Em! We ran out of eggs so made these with my wholegrain gluten free flour blend. Soooo good!